Leave it to Oakley to design a helmet that not only fits perfectly with any goggle, but looks good in the process. 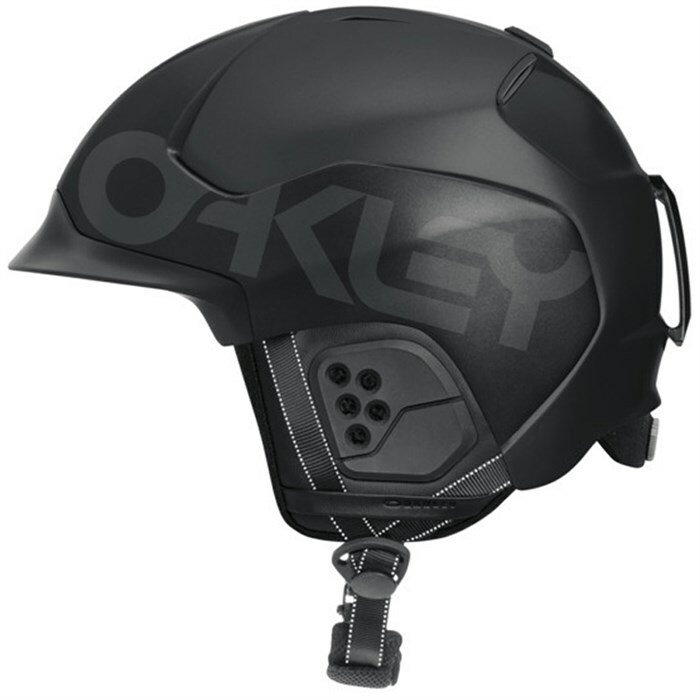 The Oakley MOD 5 Helmet features premium, impeccable design for the discerning all mountain rider. With a dual-construction shell, you get the right combination of durability and weight savings, while an adjustable, integrated venting system allows for heat management in any conditions. What really makes the MOD 5 stand out from the pack though, is its Modular Brim System, which includes a small and large brim for the perfect fit with any goggle. Don't skimp out on your headwear this season. Get your kit dialed with the Oakley MOD 5 Helmet. Dual-Construction Hybrid Shell  ABS in front, In-Mold in rear for durability and weight savings in the places you need it most. Goggle/Helmet Integrated Venting System  Hot air from the goggle is channeled through the brim and helmet to allow for better anti-fog performance. Adjustable Venting  Heat management for all weather conditions. BOA 270 Fit System  Fully adjustable for ultimate all-day comfort. Removable Liner  Ideal for goggle/beanie underneath the helmet, and for cleaning in the wash.
Fidlock Buckle System  Seamless magnetic functionality with gloves. No Pressure Ear Cup  Unlike traditional ear pads, Oakley's design puts zero pressure on your ears allowing for more comfort and better hearing. Removable design allows for wearing the strap over or under the helmet.